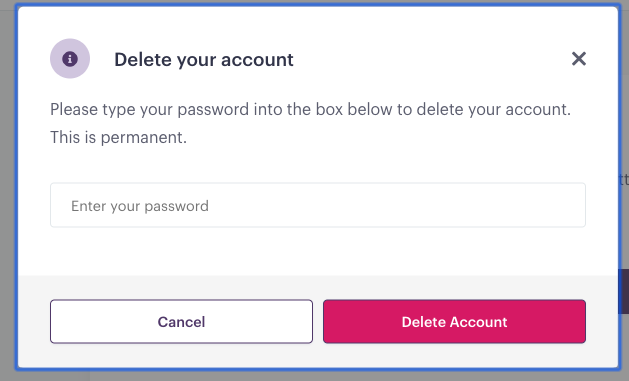 If you would like to close your Brring account click on Account page at the top right corner and then click on Account tab, from there click on the Delete Your Account button. In the appeared modal enter your current account password and click on Delete Account. Your account will be scheduled for deletion within 5-7 working days.